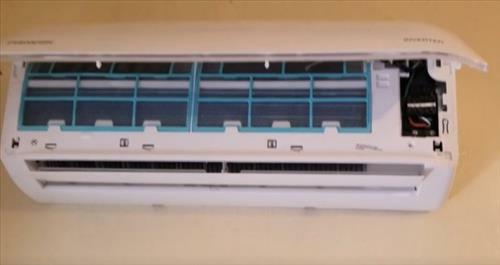 Do-It-Yourself Mini Split Air Conditioners have become very popular since they are a good alternative to high cost HVAC installations. They come with most everything needed except tools and electrical wiring to a panel. There are many units available from small 9000 BTU units to large 36000 BTU units. Pioneer is one such popular DIY Mini Split manufacture with several different sized units. I recently installed a Pioneer 12000 BTU 230 Volt unit which I thought I would share how I install a mini split. A video is also posted at the bottom of the page of the install. The unit will come with lots of information such as user manual and installation instructions. Be sure To follow the Installation manual that comes with your unit. There is some tools that will be needed such as a Vacuum Pump and Manifold Gauges. There are many low cost vacuum pumps and gauges which I bought some budget ones for the install. Some other basic tools will also be needed such as a drill, screw drivers, and wrenches. Most Mini Split systems will need a 5/16″ Female Coupler to 1/4″ Male Flare to connect the manifold gauges to the unit. 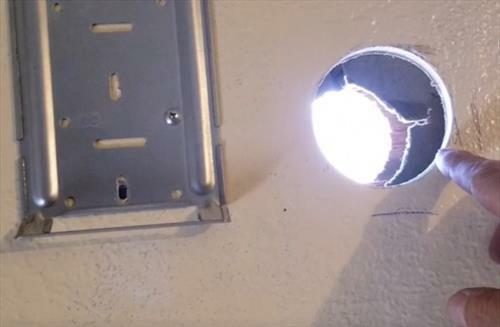 A 3 inch hole saw bit is also needed to drill a hole for the line set and wiring to go between the units. 1… The first step is to layout were the unit will be located and run the electrical. Always follow the manual that comes with your unit for the wire Gauge and breaker Amps. The unit I received needed to be on a 20 AMP breaker which can be run to an electrical panel or on its own box. 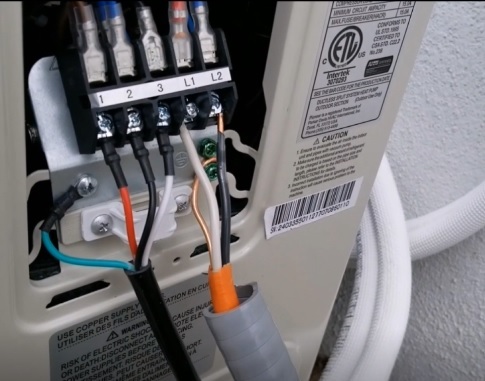 Most HVAC companies will install a disconnect box which simply breaks the flow of electricity when work is needed on the unit. Personally I install a 20 AMP breaker close to the unit but this is a personal preference as long as it is on a 20 AMP breaker at the panel. I used 10 Gauge wire to run to the unit. 2… A pad will be needed to set the outside unit onto. The unit needs a flat solid surface that is level to sit on. If the outside location already has concrete it can simply be set on it. If there is no pad one can be bought or a small cement pad can be poured. Small pads are low-cost items that can be purchased and what I use for example this one on Amazon. Which ever way a pad is setup be sure it is level and set the outside unit on top of it. 3… Next the inside unit will need to be mounted onto a wall. There is a few things that need to be done before it can be mounted. First the mounting bracket will need to be screwed onto the wall and level. 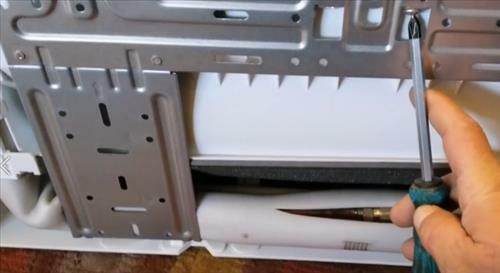 The mounting bracket is on the back of the inside unit held in place with a Philips screw. Be sure to mount the bracket on a good stud so the unit is secure. A hole will need to be drilled to run the line-set and wires to the outside unit. Look at the back of the unit for were the line-set and wiring stick out for were the hole will need to be drilled. 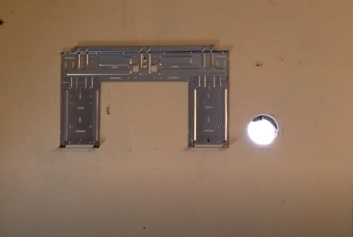 The instructions will also show the location and size of the hole needed through the wall. I used a 3 inch hole saw to drill an opening for the refrigerant line and wiring to go to the outside unit. 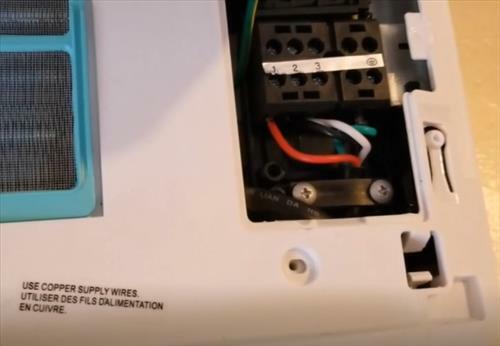 4… Hook the wiring harness to the inside unit which is labeled 1,2,3 and ground. Be sure to follow the schematics in the manual and on the inside door for your unit. The connectors are located under the front panel under a pull out on the right side. The wire harness will need to be fed in from the back. One problem I had was the wire color codes was not exactly the same as the wiring harness sent to me. This is not much of a problem as the inside and outside unit are labeled 1-2-3 and ground. If this happens simply be sure the wire color match inside and out. For example Red would be connected to the connector labeled 1 inside and outside. 5… Feed the line set and wiring out the hole and set the unit on the mounting bracket. The wires, line set, and drain line all need to be fed out the 3 inch hole and the unit mounted on the wall bracket. 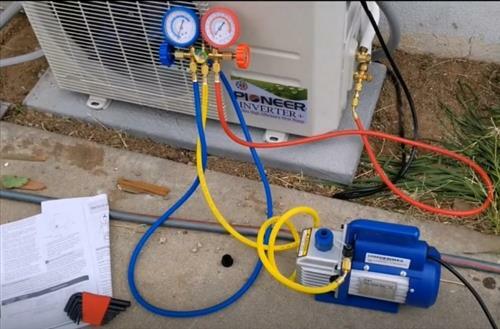 Be sure to be careful with the copper line set as it cannot be kinked or will block the flow of refrigerant. There is a plastic protector that slides into the hole and protects the wiring and copper line if needed. 6… Next the copper line set needs to be screwed together. The main thing when installing the line set it to not kink the copper and screw it together carefully as to not strip the bolt threads. 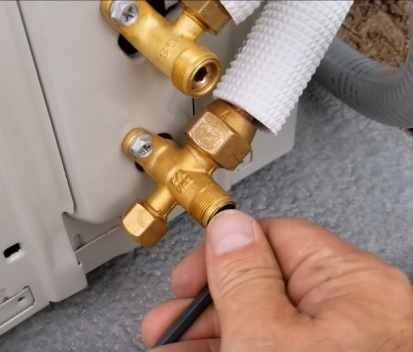 This is easy enough, simply take your time by rolling out the copper line-set and hand tightening the connections before using a wrench. Screw the nuts on by hand carefully making sure not to strip the threads. Once hand tight use a wrench to tighten them up and get a good seal. 7… Hook up the wiring harness to the outside unit. Again follow the schematic that come with the unit. 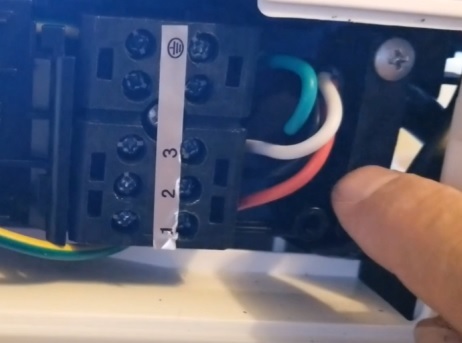 Be sure the connectors labeled 1-2-3 and ground match the inside wall unit. The L1 and L2 go the the breaker for power. 8… Once everything is installed the line set will need to be vacuumed out with a Vacuum pump. Using manifold gauges and a pump hook up to the low side port. It is the only service port on the unit. Let the vacuum pump run for 15-20 minutes pulling a vacuum. After 15-20 minutes turn off the vacuum pump and watch the manifold gauges pressure. For example here it is hooked to the Red Gauge and the pressure is negative with the dial under the zero marker. 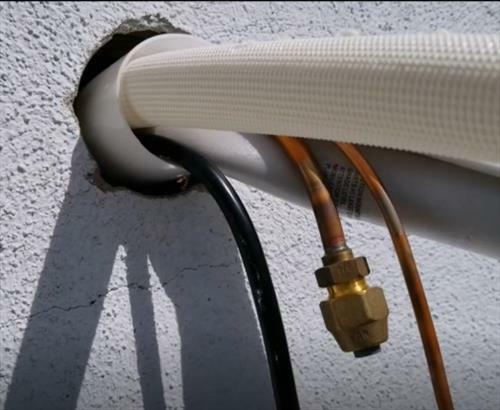 It should hold a negative pressure if not there is a leak that needs to be fixed. Let it sit for at least 20-30 minutes or more and be sure it holds a negative pressure. 9… Release the refrigerant into the system. Once the line set has been tested for any leaks and has a vacuum the refrigerant can be released. Both the high and low side will need to be released. This is done by removing the caps and using an Allen key turning them to the left. They will need a few turns for the valve to come fully open. 10… Once refrigerant is in the system and power on the unit is ready to be tested. Power on the unit using the remote control. 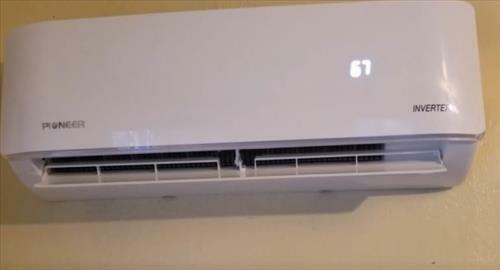 The right side shows the temperature when the unit is turned on. 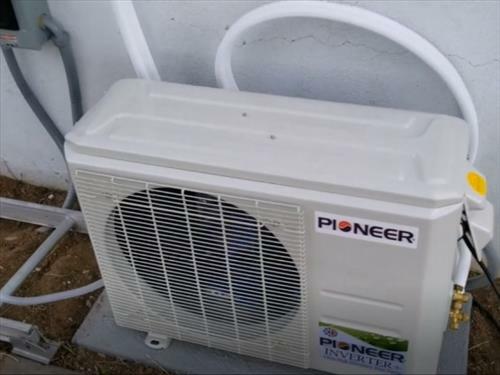 Installing the Pioneer Ductless Mini Split was not that difficult and falls into a handy person Do-it-yourself category. Of course if you have never done any basic construction or electrical wiring be sure to call a professional. 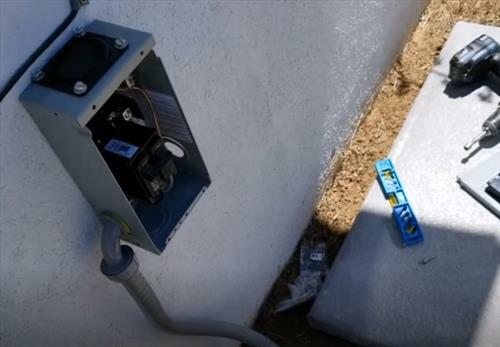 If you decide to install a unit yourself be sure to read the instructions 2-3 times before starting. Plan the install over a 1-2 day period and take your time. While it can be installed quickly it is best to go slow. It took me 3-4 hours to install everything. Every install will be a bit different since electrical box locations, walls and other things can change a layout. I had to cut my hole on the other side – left – not right . I am wondering if there is any special consideration for this when connecting the outside line set? using either side shoes in the booklet that it is ok to do. I assume you did not need to flare the copper tubing simply because you did not cut the tubing for a custom fit. So for example if a unit comes with 16 feet of line set and you only need 10 feet you can avoid flaring by coiling up the excess. But if you want a custom fit you need to cut the copper tubing to size, then place the flaring nut over the tubing and then flare the copper before you can attach it to the outside unit. After this you can evacuate the unit. I have a question about the evacuation process. 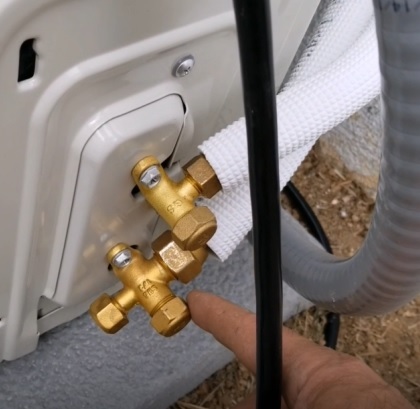 After running the pump for a while and you are ready to test for leaks do you shut off the pump and close the valve on the manifold? Did you bend the copper tubing by hand or did you use a tool for this? 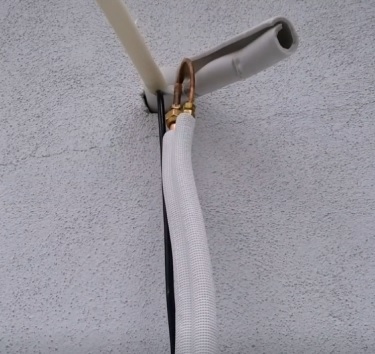 Did you have to flare the copper tubing before making the connections? Thanks for the great how to article. I just did a Climate-Right mini split, it comes fully charged, both units, and you install the line set and that opens a valve. 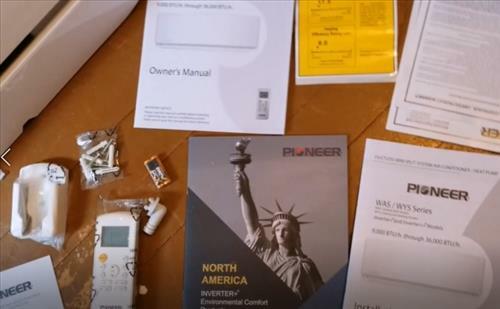 I’m thinking about trying the Pioneer next because it’s a bit less expensive and has a better trouble shooting and install manual. 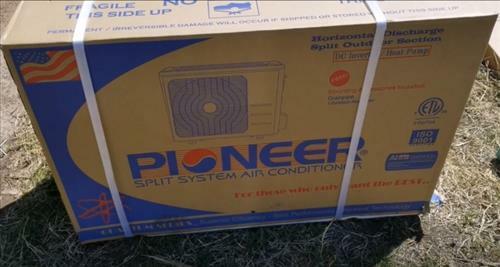 I have a 9000 BTU Pioneer WYS Series unit and would like to know if I need to bolt down the outdoor compressor to my concrete pad or just let the unit sit on the pad? Unit is level on pads now, just want to know if it needs to be secured with expansion bolts, etc.. I bought one of these, Pioneer WAS/WYS 9000 but with a 33′ lineset, is the book correct that I need to add 16oz for additional foot, or in this case 17′ x 16oz= 272 ozs , that seems like a awful lot. ( “Additional refrigerant/Liquid side 1/4″/per additional feet:0.16oz/ft”). the reason that I ask is that in researching I thought that I had read elsewhere that you needed an additional ounce for each additional 6′. What pressure (and temperature) should the lines be when testing heat and cool mode? Hello I tried to turn the unit on and all I’m getting is beeping sound with a blinking number 88. Can’t find any info or error codes with 88. Any ideas as to what it could be? Thx for the reply. The remote actually isn’t doing anything. Can’t power it off, turn it down or up with it. It has to physically be unplugged to turn it off. Its a blinking 88 with a wifi symbol to the right of it which is also blinking. I have the exact same question. Hope we can get an answer ASAP. The valve to the vacuum pump is shut off on the gauges and refrigerant opened letting it into the system. Disconnect the vacuum hose line after letting in refrigerant. 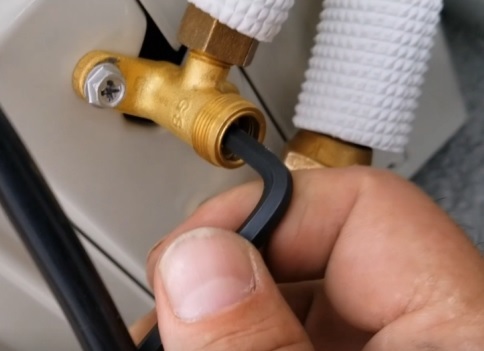 When disconnecting this will let a small bit of refrigerant out not allowing any air back into the system. What kind of refrigerant did you use? Puron or reon? Is there a distance min max between the inside and outside units ? No there is no set distance, technically the amount of refrigerant that comes in the unit accounts for the 16 foot line-set, but this should not make much difference. The line-set can be left rolled up in a loop close to the unit or if the line-set is shortened the unit can be checked with gauges to be sure it is operating correctly. Tech at Pioneer said that I didn’t need to worry if I shortened the 16′. The amount of refrigerant would be fine. The max distance is most likely 50 feet for the compressor motor. The unit comes as stated pre-charged for the expectation of a 16 foot lineset. If you use a shorter or long lineset you will have to either extract coolant for shorter linesets, or add additional coolant for longer linesets. Adding coolant is pretty easy, albeit maybe expensive for a single job. 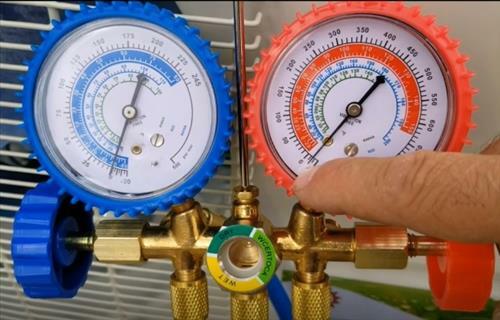 You buy a can or tank of the refrigerant and using the gauge set you add more into the system. To extract coolant is easy peasy for a tech as he would have an empty bottle to capture the gas, again using the gauge set to connect the bottle. If you use anything but the 16 foot lineset I would get a tech in to help you with that final part.